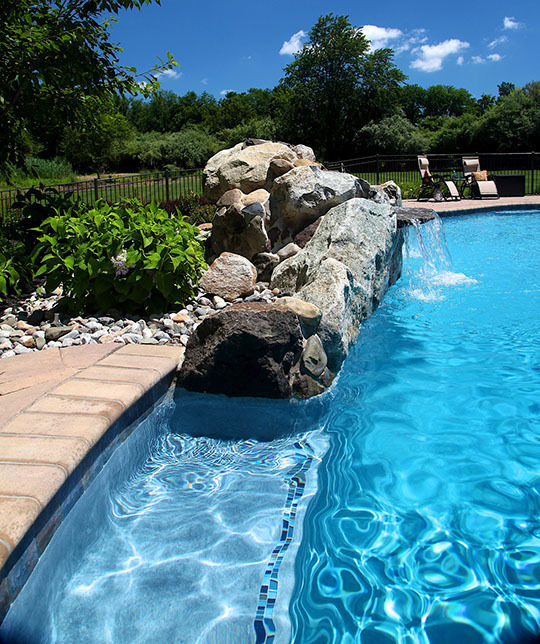 This pool project in Titusville, NJ features a natural boulder waterfall with other boulders built into the coping and a diving stone. 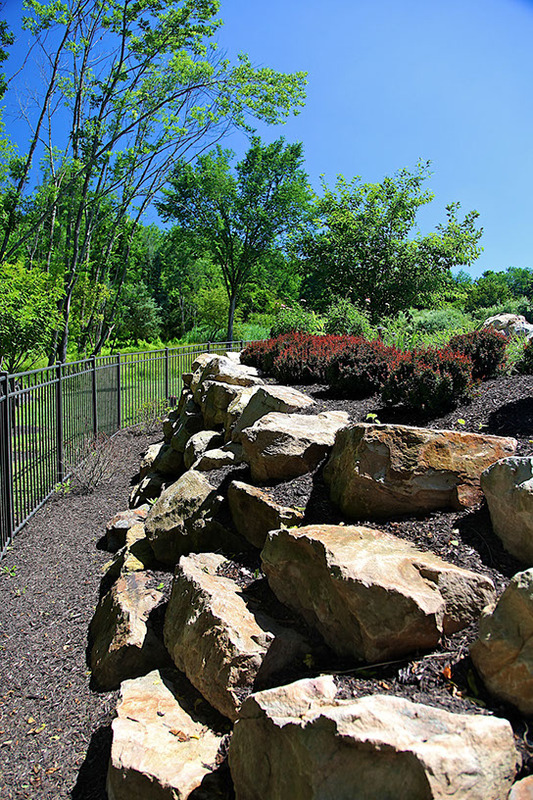 These natural boulders blend in nicely with the natural surrounding forest. To contrast the natural boulders, there is a paver sitting wall and paver fire pit along side the pool. 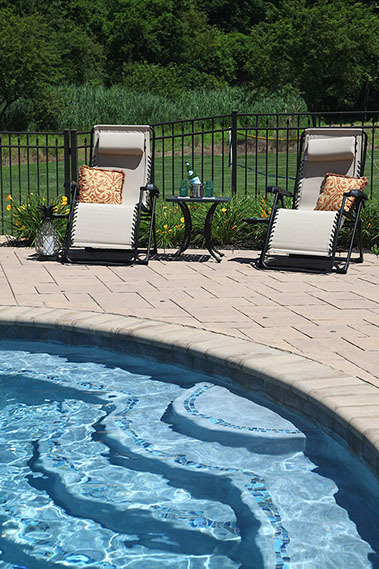 The pool also features a cozy corner and Techo-Bloc Blu 60 pavers to accent the natural boulders and surrounding forest. This freeform in ground pool features a natural boulder waterfall, and a diving rock. Next to the rock waterfall in the deep end of the pool is a built in pool seat. There is Techo-Bloc bullnose coping around pool and Techo-Bloc Blu 60 pool deck. 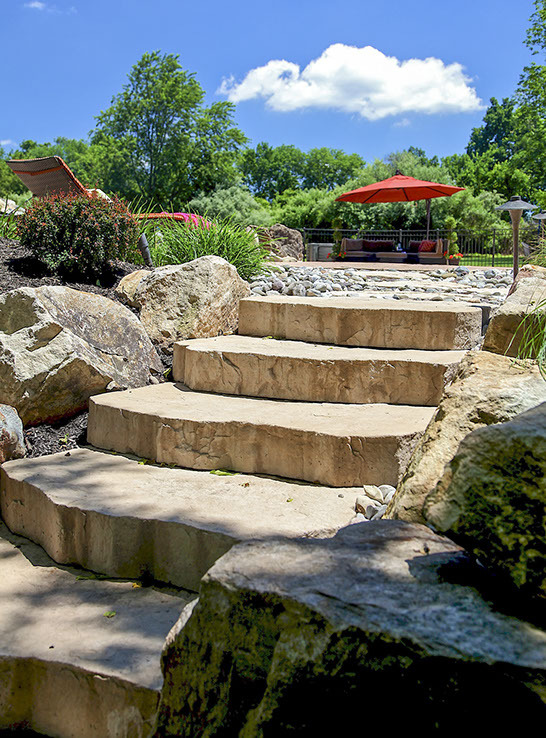 There is a natural boulder retaining wall and natural boulders are used around the steps leading to the pool.